Well..I didn’t actually grow up in Boston, but north of there, in a lovely town named North Andover, Massachusetts. 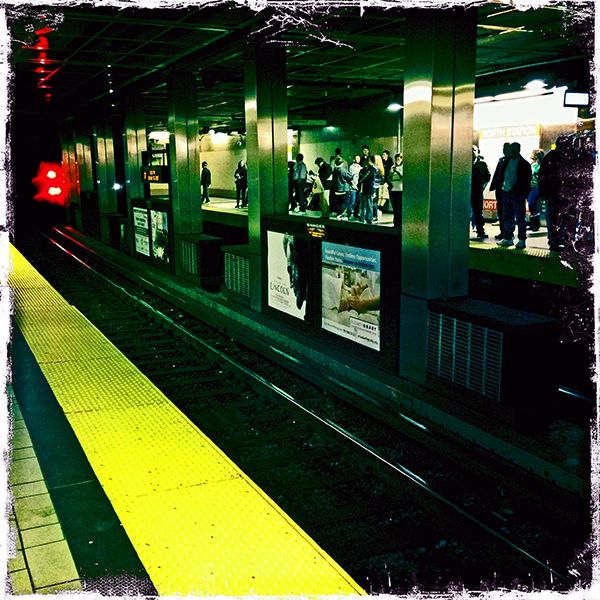 I did live in Boston for over 10 years and absolutely loved it. 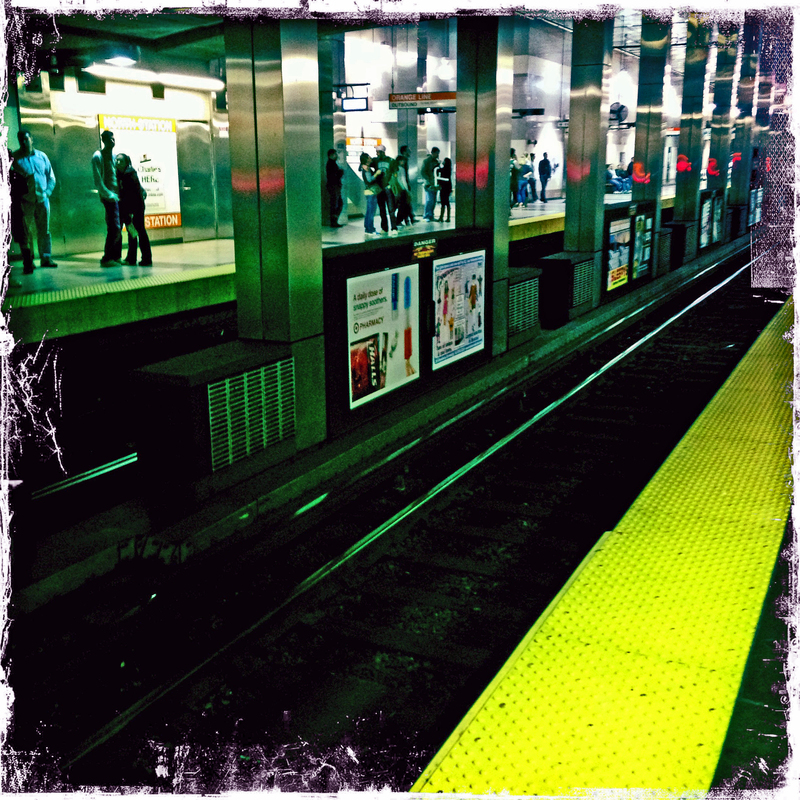 I go back via train or car whenever I can. These are some pics of a recent trip there. I just bought an iPhone5, check out the nifty panorama camera feature! Pretty awesome. 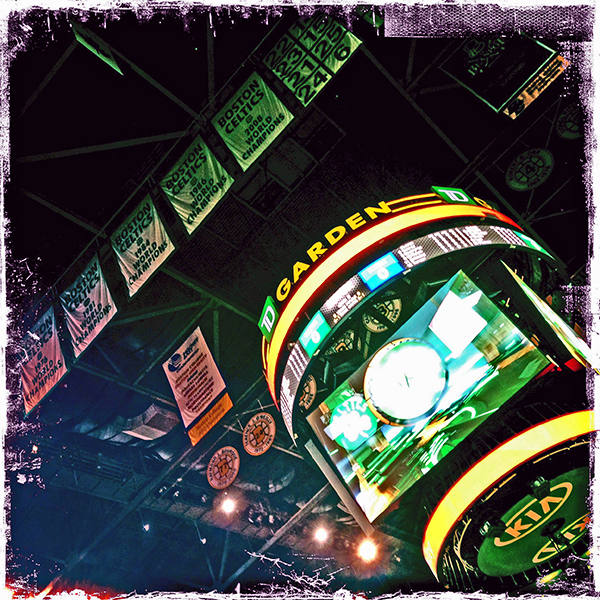 This particular trip was to see a Boston Celtics Basketball game. 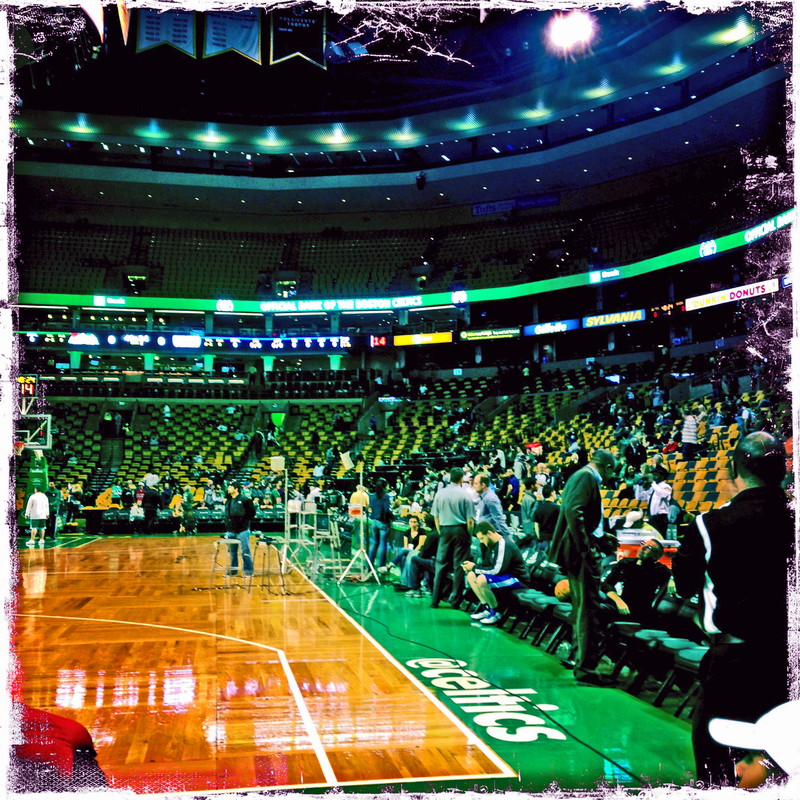 Go Celts! 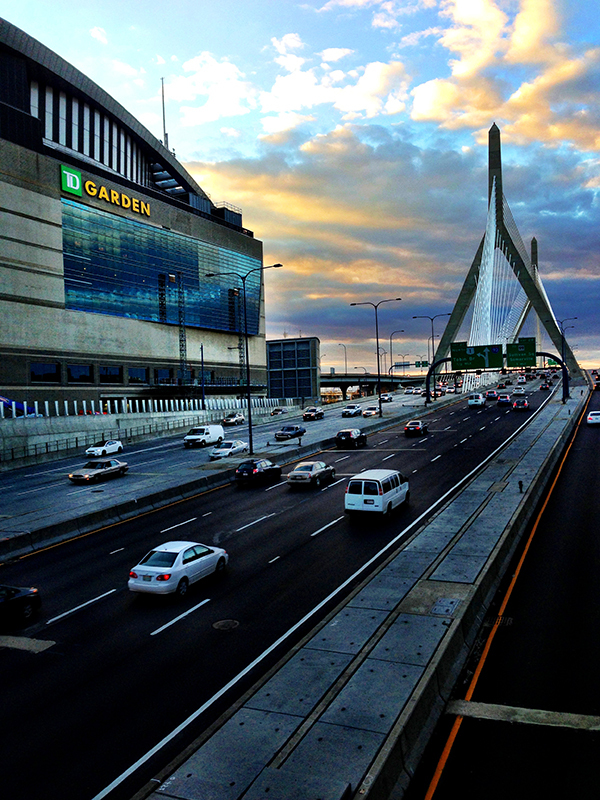 TD Boston Garden and The Leonard P. Zakim Bunker Hill Bridge at sunset. View from balcony seats. Any seat is good. And NO, I don’t have “that Boston accent”! !